^ "Well-connected: Why one national airline is bucking a continent-wide trend". The Economist. Addis Ababa. 22 October 2016. Archived from the original on 31 October 2016. Retrieved 31 October 2016. ^ "Ryanair once again leads airport pairs and Turkish Airlines country markets in S19". anna.aero. 27 February 2019. Retrieved 22 March 2019. ^ Dufka, Corinne. "Ethiopia to resume commercial flights to north". Reuters. Archived from the original on 15 April 2013. ^ "Ethiopian Airline Group's restructuring to enhance customer experience". 24 July 2017. Retrieved 10 March 2018. ^ "Ethiopian Factsheet..." (PDF). March 2018. Retrieved 10 March 2018. ^ "Guinea Airlines chooses Ethiopian as technical partner". Ch-Aviation. 31 January 2018. Retrieved 6 February 2018. ^ "Ethiopian forges partnership with DHL to provide logistics services". 31 March 2018. ^ "Ethiopian to establish aerospace manufacturing industry". 7 April 2018. ^ "Ethiopian Airlines and Aerosud Group to establish aerospace manufacturing industry in Ethiopia". 10 April 2018. ^ "Ethiopian short facts sheet" (PDF). Retrieved 27 March 2018. ^ a b "Kisangani, Mbuji Mayi and Nosy-Be Joined Ethiopian Global Network Addis Ababa: March 27, 2018". Retrieved 27 March 2018. ^ "Ethiopian Links Buenos Aires with Africa – 6th Gateway to the Americas..." 8 March 2018. ^ "Ethiopian short fact sheet November 2017" (pdf). November 2017. Retrieved 9 December 2017. ^ "The Beautiful Island of Nosy-Be, Madagascar Joins the ever Expanding Ethiopian Global Network Addis Ababa, February 26, 2018". 26 February 2018. ^ Maasho, Aaron. "Flags, flowers greet first Ethiopia-Eritrea flight in 20 years". Reuters. Retrieved 2 August 2018. 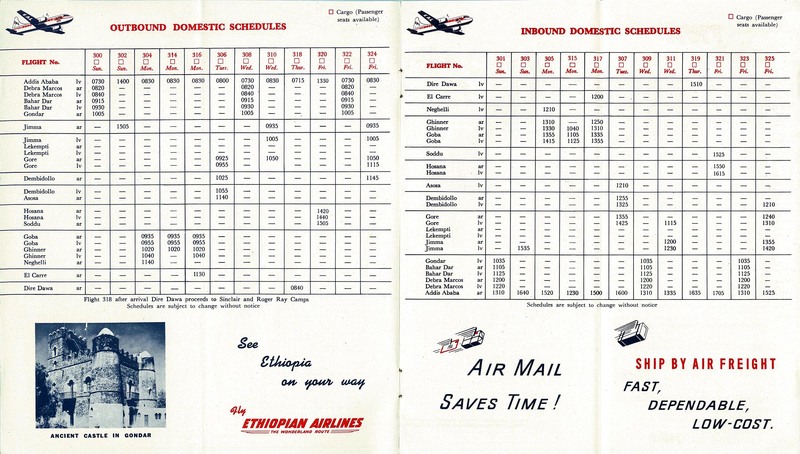 ^ "Profile on Ethiopian Airlines". CAPA. Centre for Aviation. Archived from the original on 31 October 2016. Retrieved 31 October 2016. ^ "Ethiopian Signs Codeshare Agreement with Air Europa". Ethiopian Airlines Press Release. 10 April 2017. ^ "Ethiopian And Azul Brazilian Airlines Enter Codeshare Agreement". EthioSports. Retrieved 25 September 2017. ^ "Ethiopian and Azul Brazilian Airlines Enter Codeshare Agreement". Ethiopian Airlines Press Release. Retrieved 25 September 2017. 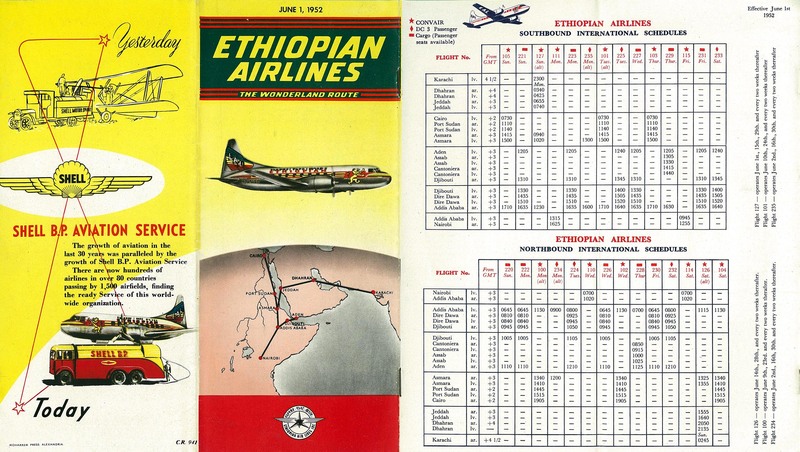 ^ "Ethiopian Airlines makes African aviation history with 100th aircraft in active service". eTurboNews. 6 June 2018. Retrieved 7 June 2018. ^ "Ethiopian Airlines flight crashes minutes after takeoff, killing all 157 onboard". CBS News. 10 March 2019. Retrieved 11 March 2019.